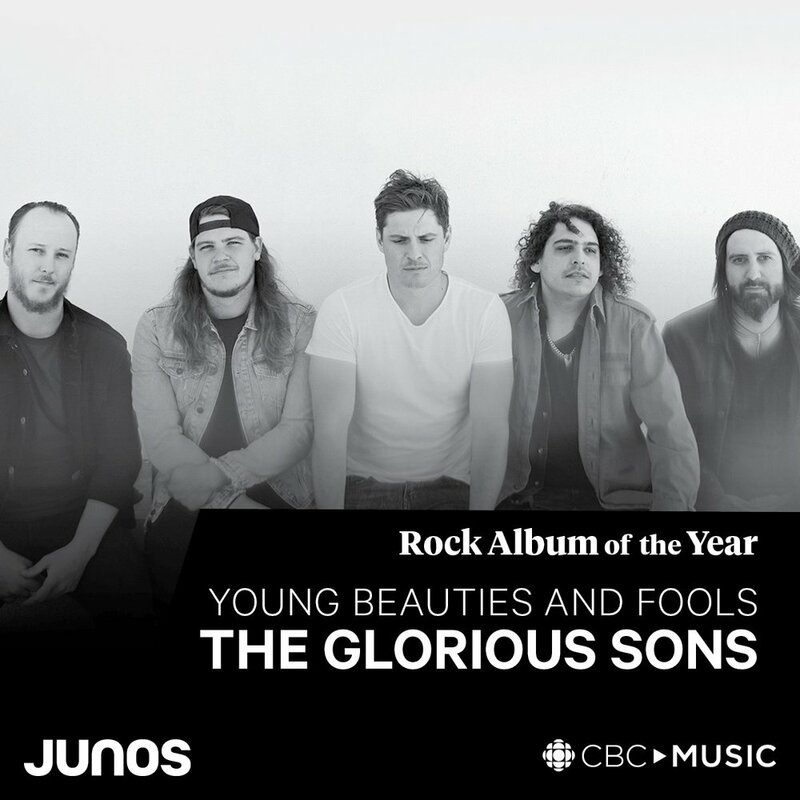 Huge congrats go out to The Glorious Sons on winning the Rock Album of the Year category at the 2018 Juno Awards last weekend in Vancouver. Many thanks to our partners at Universal, Frontside and Feldman for their hard work, and to everyone who has helped the band get to this point. Below is a quick acknowledgement from the band. I don’t feel different waking up today. Don’t get me wrong, yesterday’s Juno award is highly appreciated, but it changes absolutely nothing for us as a band. The process is still the same: One song at a time, one show at a time, one fan at a time. This is the formula that has allowed us to cultivate a love for what we do, and a fan base who feels the same. The real reward for me has been the phone calls, texts and posts from all of our friends, fans and family. It feels as if a whole community won the award. It is with that sentiment, that I want to thank you all from the bottom of my heart. This is nothing, if not the beginning. If you haven't already given the album a listen, you can do so here. The Glorious Sons are also in the process of announcing their Summer touring plans. For a full list of upcoming live dates, visit http://theglorioussons.com/tour.